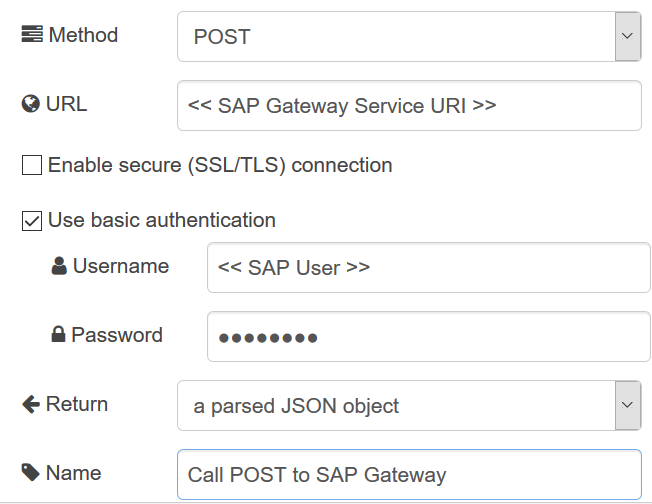 SAP Gateway allows to easily expose services of a SAP backend system: Those services then can be consumed by “modern” types of web applications. For a demo case, I had the requirement of bringing in some new data from a web application into a SAP backend system for further processing. I implemented that via a Node-RED flow: Node-RED is a programming tool for wiring together devices, APIs and online services in a graphical manner. Such a “flow” is built in via a browser-based editor and then can be deployed to the Node-RED runtime running either on-premise or in the cloud. SAP Blog “Gateway protection against Cross-Site Request Forgery attacks” explains in detail the protection mechanisms of SAP Gateway against Cross-Site Request Forgery (CSRF): A client application, which likes to invoke a transaction via a modifying request (HTTP POST, PUT or DELETE) via an SAP Gateway REST service, needs to authenticate first and the request needs to be signed with a CSRF-Token as a secret key. The CSRF token is only known by the client application context and the SAP Gateway. To request the CSRF-Token the client application issues a GET request with header variable X-CSRF-Token set to value ‘fetch’ to the SAP Gateway service first – the SAP Gateway service then generates a new random token and returns the value in the response (via header variable and cookie). The client application reads the CSRF Token from the HTTP GET Response, and includes the value as header parameter X-CSRF-Token for the modifying (HTTP POST, PUT DELETE) request to the SAP Gateway. As the token value is also part of the response via cookie, the cookie needs to be included in the modifying request. (The SAP Internet Communication Framework (ICF) runtime on the SAP Gateway system checks for the X-CSRF-Token in both request header and cookie – the token needs to be present in both, and the values need to be equal – only then the transaction is executed via the SAP Gateway). The flow below is an example for handling the x-crsf-token and session cookie to avoid HTTP error 403 (Forbidden) in the POST request within Node-RED. The example flow is manually triggered, the X-CSRF-Token fetch request is added to the http header, an first GET request to the SAP Gateway fetches the token, then both token and cookie are added to the (new) header, post data for the transaction is added to the payload, and then the POST call gets issued. 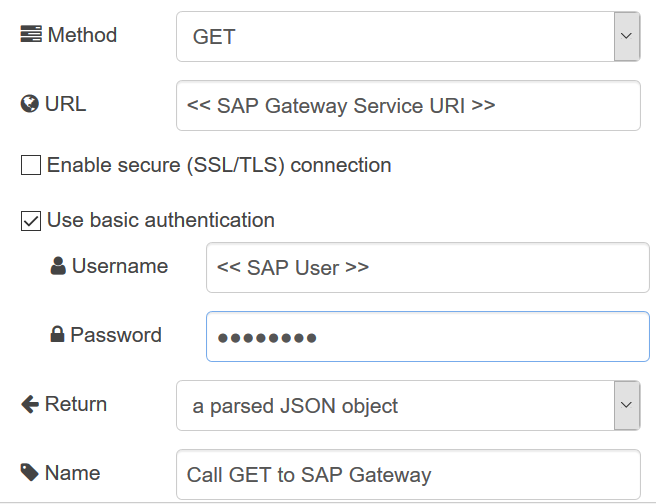 As a result, SAP Gateway returns the CSRF token and the session cookie – those are extracted in the next node. // msg.payload = "data to post"
Thanks for this great blog. I tried a similar one. After the POST, i get an error in my debug as this in the payload. Does that help? How do you call your service?